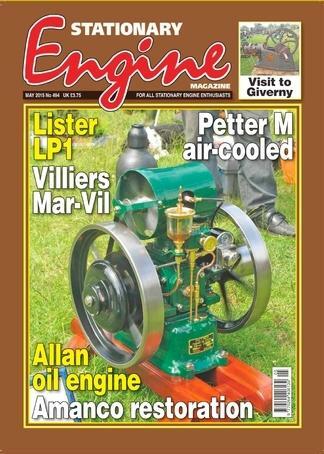 Purchase a subscription to Stationary Engine and read all there is to know about the fascinating world of Stationary Engines.The engineering & mechanical hobby that doesn't cost a fortune to join. The collection, restoration and study of stationary engines is a far bigger hobby than most people imagine. The reasons for this are not hard to find. The diversity of internal combustion engine designs from the pioneer days of the 1870s to the present day outweighs the output of the automotive industry, while they are far cheaper than cars to collect! Their continual discovery, identification and restoration are brought alive each month in the pages of Stationary Engine magazine. Plus many special features and many regular features such as Restorations Identity & Assistance, Discoveries, Engine Torque, Letters etc and pages of engines, and parts for sale and wanted. Be the first person to tell us what you think about Stationary Engine (UK) and you'll save $5 on your next purchase!